There is lower jaw development that involves its underdevelopment in relation to the upper jaw. This means that the lower jaw, the mandible, is behind the position of the upper jaw, the maxilla. This has led to a classification called Class 2 malocclusions. This classification is where the mandible is at an angle to the upper jaw AND it has not grown as long as the maxilla. This leads to an open bite. 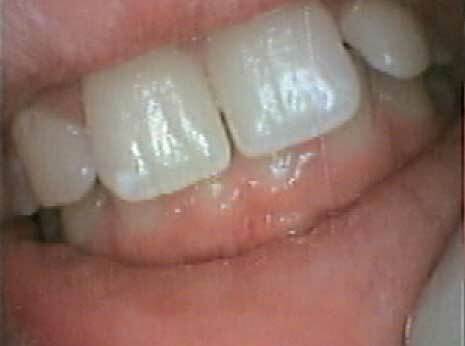 The front teeth protrude (“stick out”) and the lower teeth do not meet. The mandible seems to hang down and backwards to the maxilla.The chin is down and backwards and the lips sometimes do not meet as the upper teeth are in the way. This can led to swallowing problems as you need a lip seal. Speech may be a problem as it’s easier to tongue thrust behind the upper teeth. The mandible in this classification has grown parallel to the maxilla. The angle of the mandible is flat but its length is less than the maxilla. The bite in the front teeth is a deep overbite. The upper front teeth overlap the lower front teeth that they can’t be seen. In severe situations the mandible is underdeveloped that the front teeth do not meet at all.The chin is further back and the lower lip muscle has to work hard to get a lip seal. This causes a furrow or valley between the chin and the lower lip. 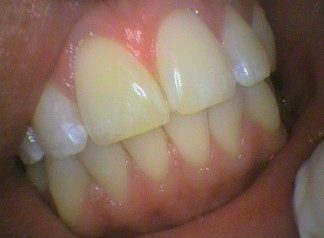 This malocclusion and can also cause swallowing, speech and eating problems as well. As you can see these malocclusions can cause function as well as facial changes due to a mismatched growth and angle relation of each jaw. This requires constant review. Treatment intervention depends on the growth of the person in general, the appearance of the adult teeth and the growth of the jaws. There is no magical age to start treatment as it depends on the individual. Below is an ideal overbite for well aligned maxilla and mandible jaws.